• In 1403H corresponding to 1983, the Higher Universities Council approved in its first session the establishment of the medical sciences department as one of the scientific departments affiliated to the college of applied sciences in Umm Al-Qura University in Makkah. This department was then the kernel of establishing the college of medicine. To that end, special committee was formed to prepare for this college including a number of experts from the existing colleges of medicine in some Saudi universities at that time as members. When the late Custodian of the Two Holy Mosques, King Fahad bin Abdul-Aziz Al-Saud laid the basis for the university city at Abdiyah in Muharam 1st, 1406H, He issued sublime directives to set up means apt to establish the College of Medicine and Medical Sciences in the university, besides a university hospital to provide training for the students of the college. 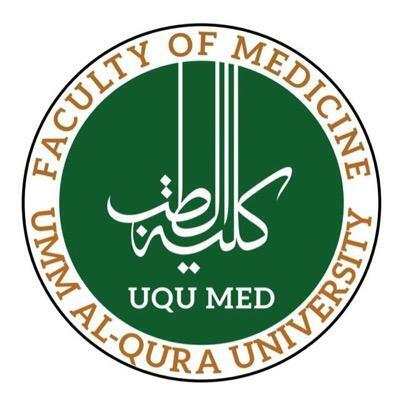 • In 1416H, corresponding to 1995 the College of Medicine and Medical Sciences in Umm Al-Qura Universality was established pursuant to the Royal Order No. (7/B/9045) dated Jumada II, 1416 H, included the approval of the Monarch on the decision of the Higher Education Council No. (9/2) adopted in its 2nd session dated Jumada II, 1416h and stipulated transferring "the department of medical sciences" to "the college of medicine and medical sciences". • In Jumada II 7th , 1426H the Royal Order No. (7710/B) approved the minutes of the Higher Education Council in its 36th session dated Safar 26th, 1426H which stipulated transferring the department of medical sciences in the college of Medicine and Medical Sciences to an independent college under the name of the college of applied medical sciences, and changing the name of the college of medicine and medical sciences to be the College of Medicine.